But, alas, there is hope. We have discovered that a case of the Friday-boredom-blues can be turned around with some solid advance planning. Give it a bit of thought through the week, and stash away a few ideas for the weekend. Last Friday, we had a plan of attack. Get up (surprise ~ sun is shining! 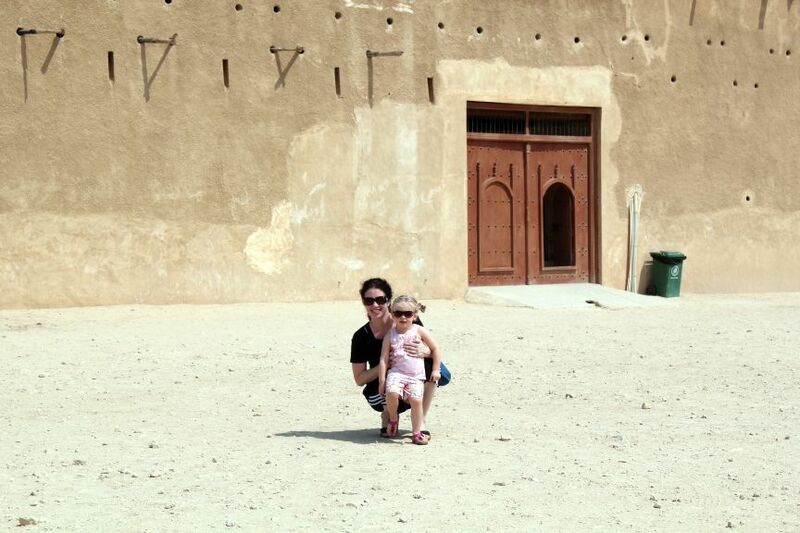 ), quick breakie and dog walk, then off to explore Al Zubarah Fort. ﻿﻿﻿﻿First we had to find Al Zubarah Fort, which turned out to be pretty easy. 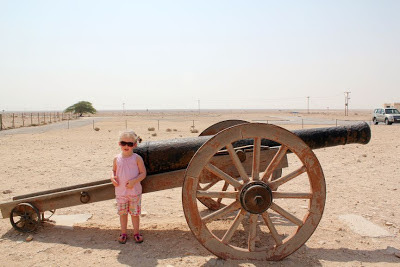 There were some helpful directions online -- basically, you follow Highway 1 north for a long time (Al Shamal Road), turn off when you see the Zubarah sign, and continue west for approximately 40-ish kms, until you see the fort in the distance. There is a long stretch on the way to San Antonio from Houston that must be a cousin to the drive to Zubarah. Nice memories. Lots of flat land to gaze out at and appreciate it for the wide open space that it is. I bet it's really nice at dusk. 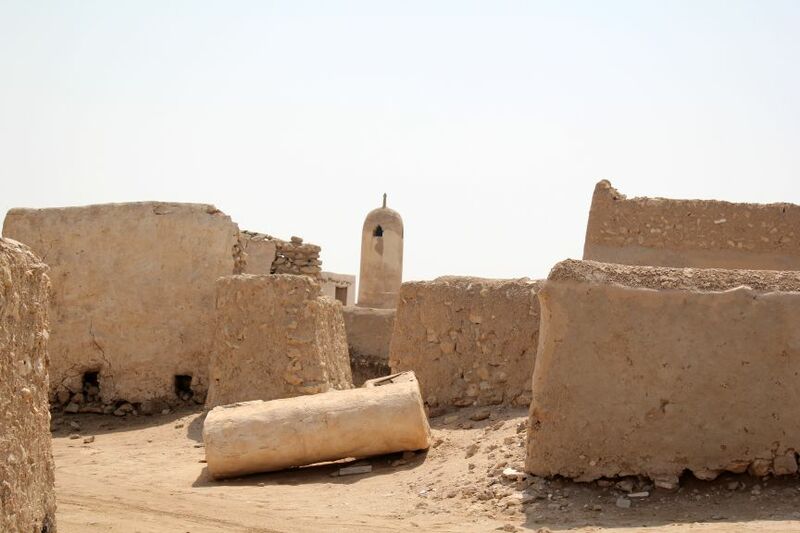 ﻿﻿﻿﻿﻿﻿ The Zubarah town itself is said to date back to the early 1760's when pearl diving and trading were a booming business. The fort exists on the edge of where the town once stood. 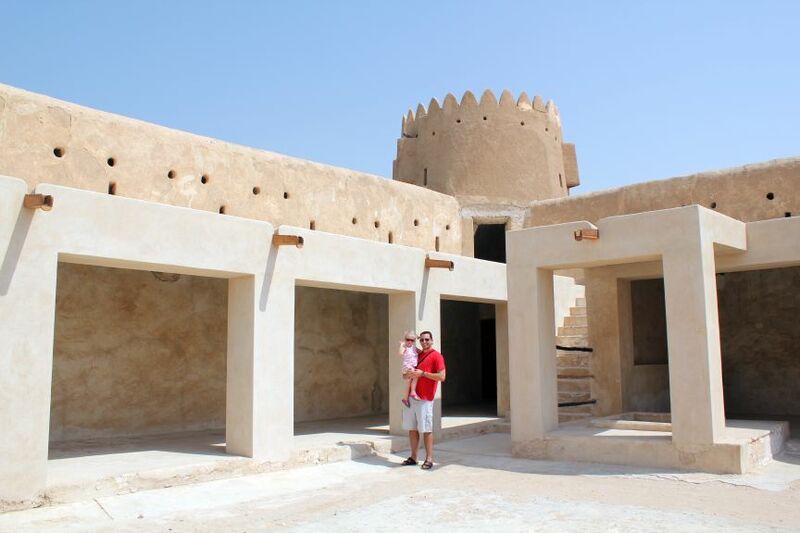 It is noted as an official Qatar Heritage Attraction that houses various artifacts, pottery and cultural displays, and encourages self guided tours through the property. 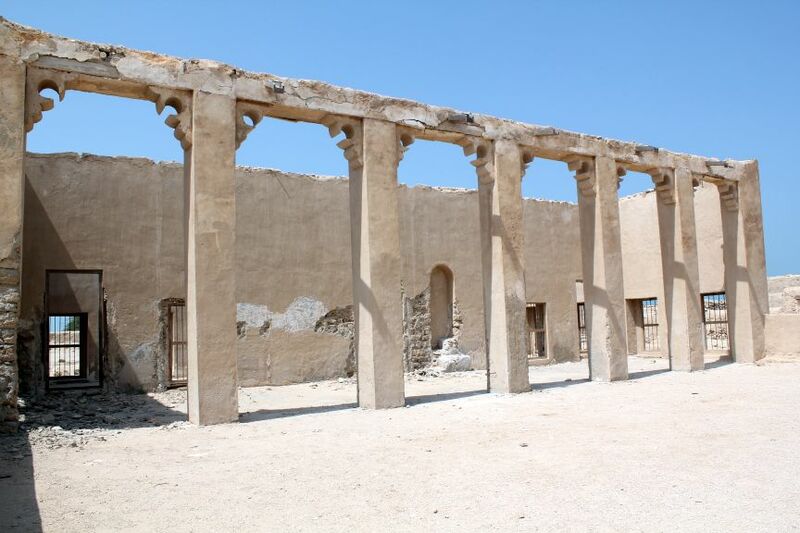 It was built in 1938 on the ruins of an old castle, during the reign of Sheikh Abdullah Bin Qassim Al Thani. The fort was used by both the coast guard and military through the years, until the mid-1980's when it was converted into a regional museum. There is no cost for entry and it is open to the general public. ﻿﻿So the entire place was empty. Not a table, not a picture, not a single piece of pottery or artifact. Nothing... but some dust and a few lonely birds on the rafters. Since we had time to kill and it was a beautiful day, we headed eastward to check things out, and after a few minutes of meandering down the highway, we stumbled upon our real find for the day. ﻿﻿An old abandoned fishing village (we'd read about it online) was tucked along the shoreline not too far from the road. I recommend an SUV if you are going to venture down to check it out, as some of the sand it pretty loose. There was also lots of graffiti on the building walls within the village itself. 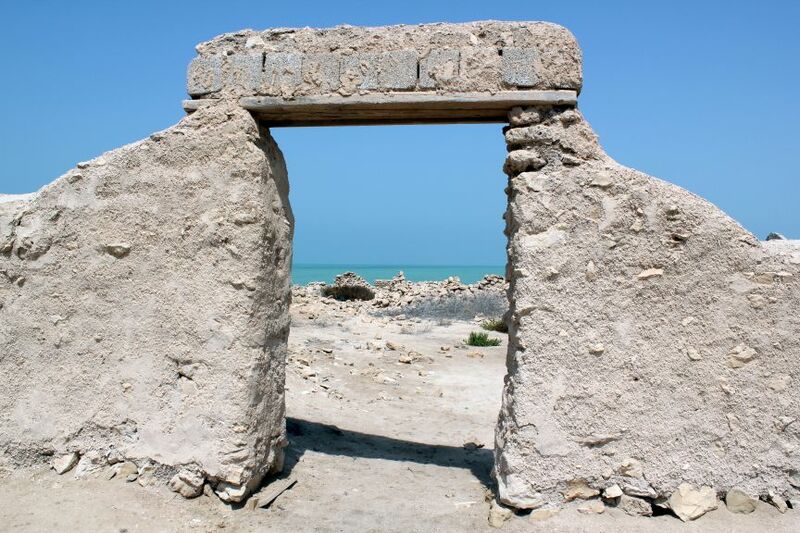 ﻿﻿I do hope that this fabulous little spot is restored and preserved before too much of it is lost due to neglect or vandalism... it would be a great attraction for both the residents and tourists in Qatar. I would say that if you are planning a trip to visit the fort anytime soon (call first and make sure it's gotten the displays back! ), also try to find this small village and take a few minutes to walk through its ruins - it is a worthwhile pit stop. What a shame that the ruined village is not made more of it looks so interesting.